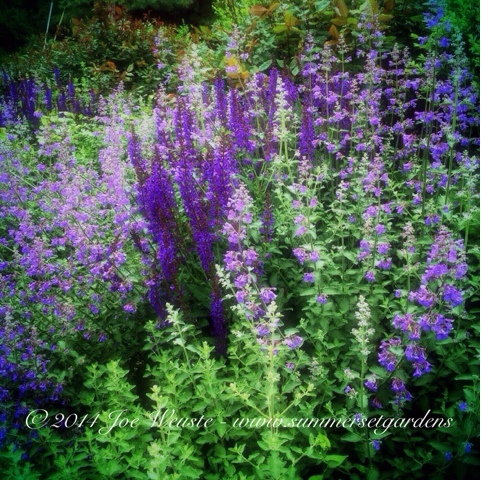 A perennial garden in June designed with a blue and violet theme. This country garden is located in the NY Hudson Valley. Garden design and construction services in the NJ and NY areas.